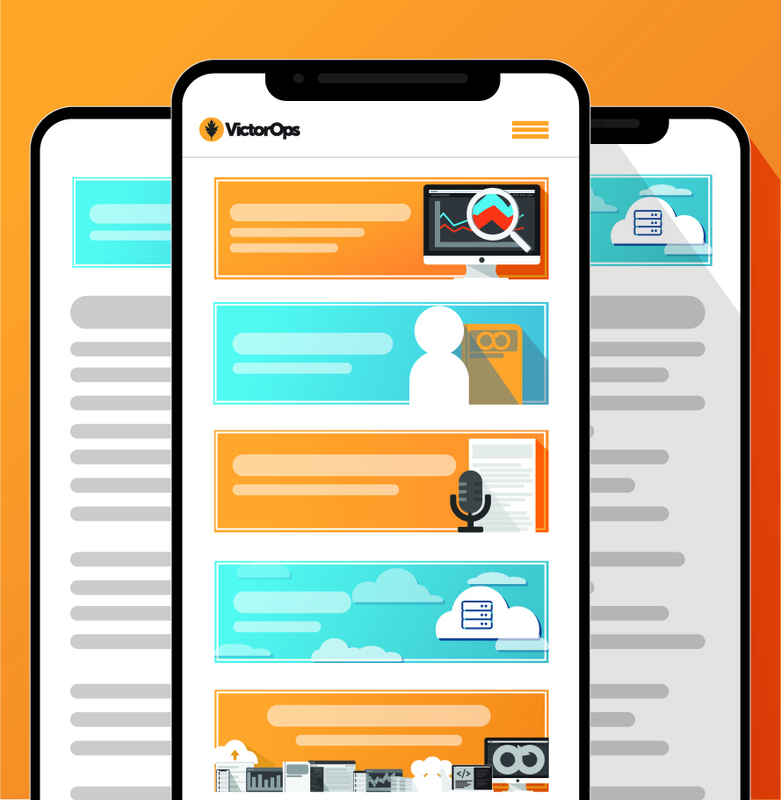 Here at VictorOps, we geek out over our integration partners—especially those our DevOps team can leverage to improve our internal incident management process. That’s why we’re so stoked to chat about Grafana. For those of you who don’t know, Grafana is an open-source platform focused on providing rich data visualization of time-series metrics. While Grafana mainly supports the use of graphs and dashboards, they also support other ways to visualize data using a pluggable panel architecture. We see some of our more progressive customers leveraging Grafana in all kinds of unique use cases. From basic alerting, to anomaly detection and everything in between. How Does VictorOps use Grafana Internally? Grafana is our primary viewport into our backend systems. It’s extremely flexible in its ability to pull in data from all types of data sources, with Prometheus, Graphite, and MySQL being our most used sources. As the viewport, Grafana is integral for both our day-to-day as well and our deployment windows. Of course we have alerts on most everything we’re already aware can fail but for the anomalies we use Grafana. We’ve got everything from very low-level “white-box” visibility to extremely high-level, “black-box” visibility of customer usage (API + client interactions), data flow/processing, and outgoing notifications, i.e., our customer interactions plus data input/output. We recently held our first game day at VictorOps. We used Grafana as a centerpiece in our single-pane-of-glass for all of our black-box testing. As we ran our experiments, we were able to bring up specific dashboards related to each delivery team. 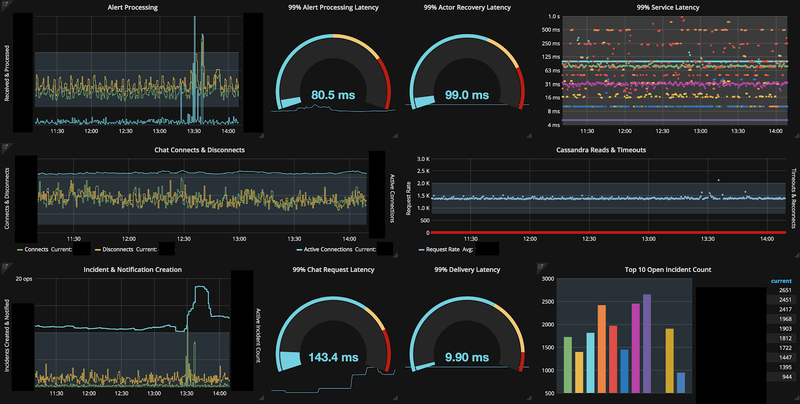 When delivery teams executed their experiments, we watched the Grafana dashboards react. If they did react they hopefully triggered alerts through VictorOps with contextual information with the changes in data. More importantly, if they didn’t change it meant we weren’t measuring the right thing or our tests were ineffective. In this case no change was worse than alerts. Below is an example of how we set up one of those dashboards. What Does VictorOps Offer to Grafana Users? Getting started is as easy as getting a cat in space! Well…actually, it’s a lot easier. As a native Grafana alerting tool, customers just need to log in to their home dashboard and select notification channels. Then, under new channel, select VictorOps. 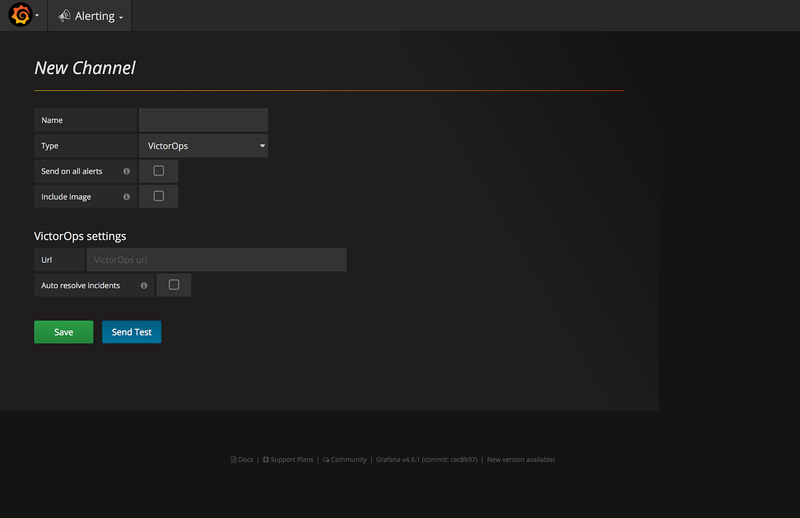 If you’re curious to learn more about the VictorOps Grafana integration, you can read about it here. We’re kicking off conference season with a bang and are happy to be a sponsor of GrafanaCon EU. This two-day event focuses on the latest features and functionality of Grafana including the launch of Grafana 5.0. You can also expect to hear from experts around the monitoring community like Graphite, Prometheus, InfluxData, Elasticsearch, Kubernetes, and more. If you’re planning on being in Amsterdam March 1-2, make sure to stop by our booth and grab a cat t-shirt and demo. Register now.